Selling Your Home or Property in Vermont – Why Should You Choose The Holmes & Eddy Real Estate Group at KW Vermont? When it comes to selling your home or property in Vermont, working with The Holmes & Eddy Real Estate Group at KW Vermont is a smart choice Vermont home sellers. We are the First Impression Experts, and our team has the knowledge, experience, expertise, and resources to get the most money for your home in the shortest amount of time! When selling your home or property in Vermont, you’ll find there are several important benefits to working with the Holmes & Eddy Real Estate Group at KW Vermont. Experience: Licensed since 1982, Kathy Holmes knows real estate inside and out. She’s worked extensively with both buyers and sellers, staying ahead of a constantly changing market to consistently produce the best results for her clients. Since joining Kathy in 2013, Kyle has built a solid reputation and strong long-term relationships with clients who started as buyers, then naturally transitioned to sellers. 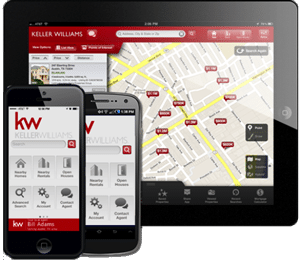 And as a digital native, Kyle’s ability to leverage the latest technology helps sellers know exactly what their home is worth, so you can post your listing accurately to quiclky attract and engage qualified buyers. Value: The Holmes & Eddy Real Estate Group knows the Vermont real estate market. We’ll work with you to PRICE your home correctly, and get it buyer-ready, so you can get the most money for your property, in the shortest amount of time. Education: We are the First Impression Experts. With years of real estate experience, we know just what it takes to get your home ready for today’s buyer. Getting clutter under control, cleaning, power washing, mulching, weeding, staging, a coat of paint? We’ll educate you on what projects to tackle so you can get the best price for your home in the shortest amount of time. Resources: Need help prepping and staging your home for sale? We have direct access to people who will work hard for you: landscapers, painters, cleaners, organizers…let our connections save you time, money, and hassle! Hard Work: We hire professional photographers who pay attention to the types of details that get your home sold FAST. They go the extra mile to straighten pictures, hang towels attractively, roll up rugs, make beds, remove furniture from a room…whatever it takes for potential buyers to visualize themselves buying your home! Knowledge: We know the area, we know the market, and we will price your home correctly so it sells quickly, without languishing needlessly, wasting your valuable time and costing you money.